Anna provides information and education on consumer rights, investigates complaints, assists clients in filing complaints, appeals, and administrative hearings. Anna has extensive knowledge about CIP Waiver and resources for people with lower incomes including housing. Anna began her work as a Family Care and IRIS Ombudsman in February 2013. Anna has worked at The Salvation Army and the YWCA in the area of homelessness and low-income housing and services. She gained experience with community organizing and community based case managment as the Case Management Division Manager at Community Action Coalition. 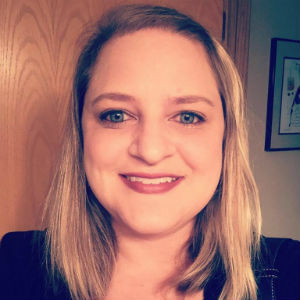 Before joining the DRW team, Anna worked as a Services Corrodinator in Dane County’s Long-Term Care Program, where she developed a passion for advocacy. That passion lead her to Disability Rights Wisconsin. Anna graduated from UW-Whitewater with a BS in Social work in 2002 and from UW-Madison with a MSW in 2011.